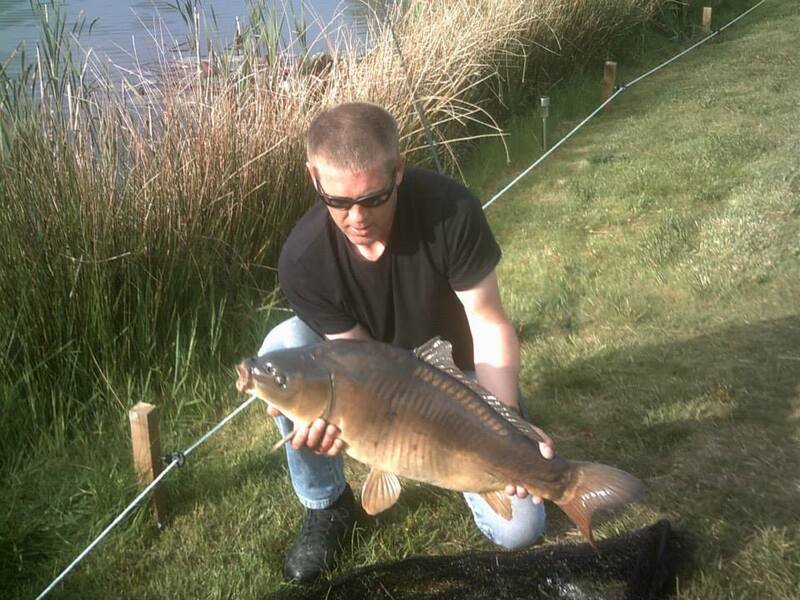 Fron Farm Fishery | High quality, well stocked fishing lakes. 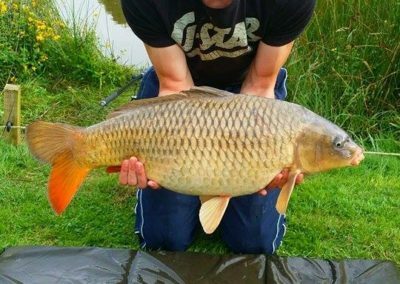 Our fishery is based in the beautiful quiet countryside of Dyfed, the perfect location for rest, relaxation and a spot of fishing. 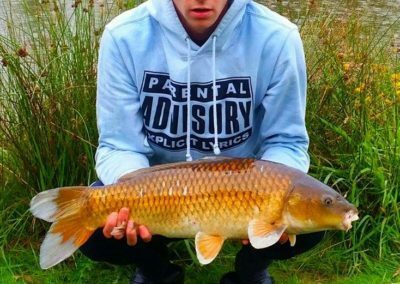 Fron Farm Fishery consists of four lakes ranging from 1-2.5 acres, each with a generous selection of top quality fish for you to catch. Our lower trout lake is over 20ft deep, there are a few trees and bushes around the bottom of the lake, with natural level ground. We restock rainbows and blues at 1.5 lb. 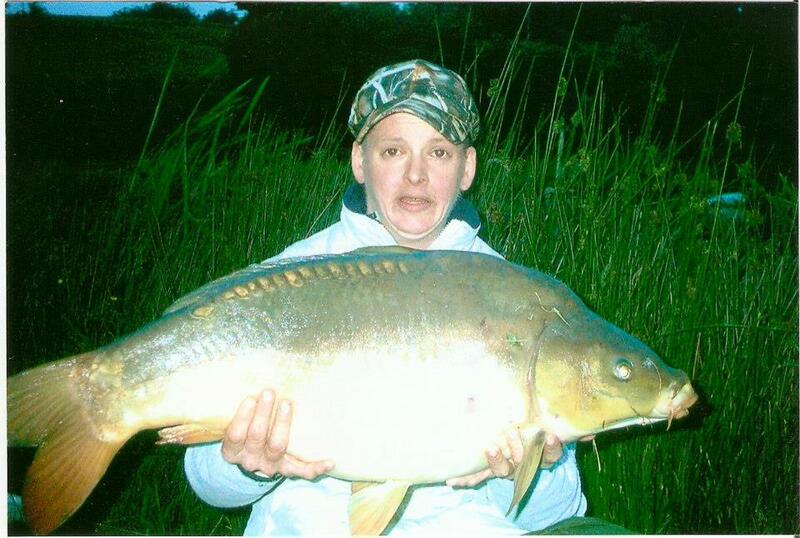 We have strong fully finned hard fighting fish, not the largest fish, but fish worthy of the fight. Brown trout breed naturally in the clean healthy water. 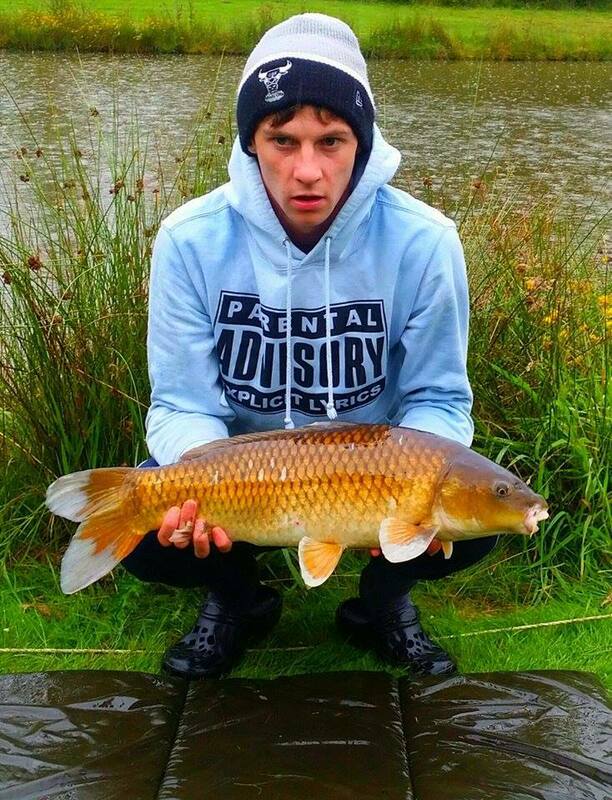 The fish caught in this lake are well earned, as it is not an easy water to fish. There is easy access between trout lakes. 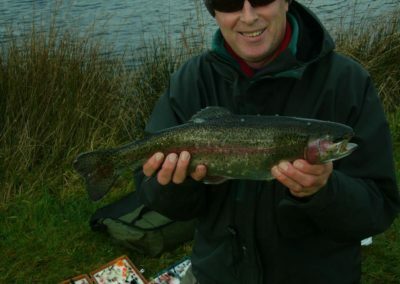 Our upper trout lake is approximately 10ft deep, deep enough for the trout to remain cool in the warmest of Welsh summers. 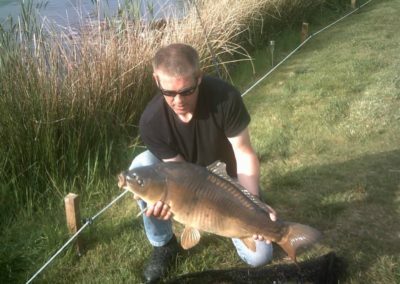 A smaller lake but with the same sporting fish as the lower lake. 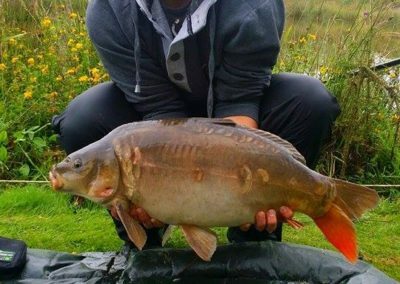 This lake is ideal for novices and the younger angler, ideal for those fishermen that want to share their passion as casting is easier. 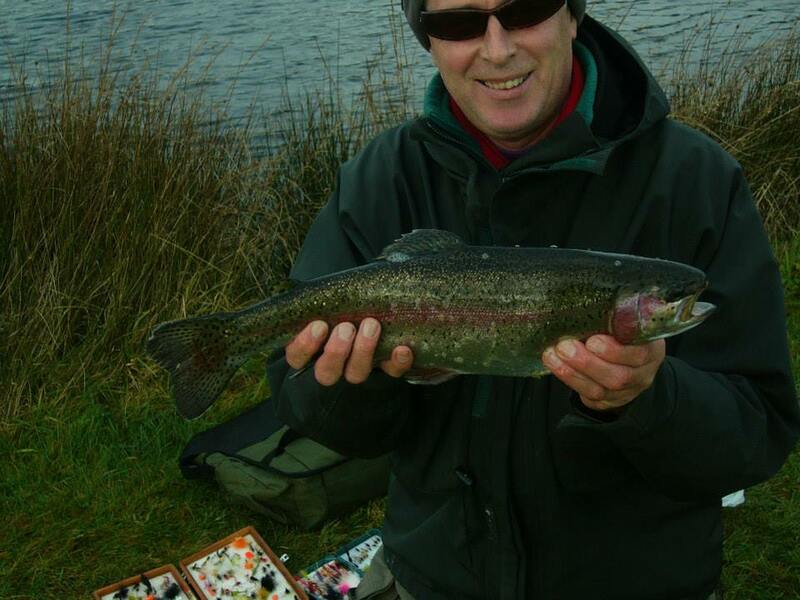 Our stocking policy is to maintain a good head of 1.5 lb Trout and re-stock regularly. Knowing that the growth rate is impressive given the ample natural food supply. 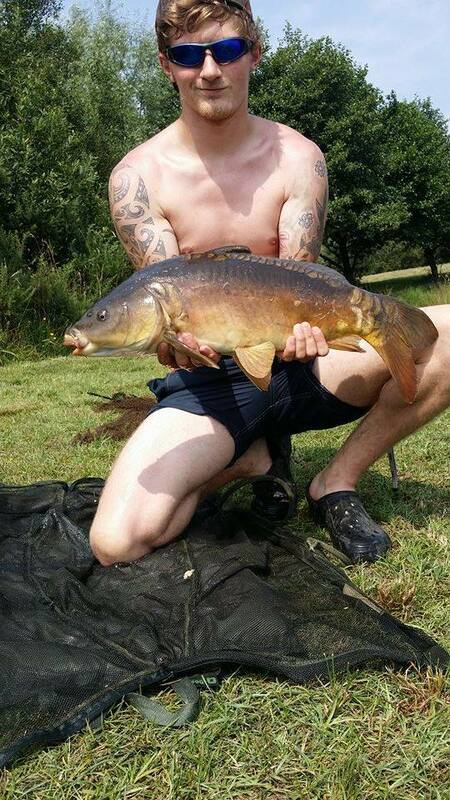 The lower course lake is 18ft deep (I know I have walked it). There is a gentle slope down from the carpark to this lake. 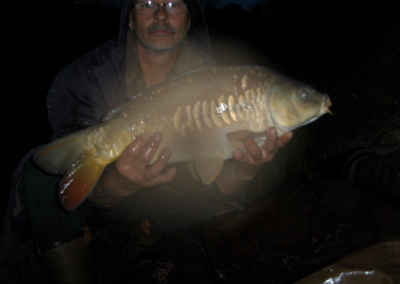 With wide open banks the lake has a good stock of mirror and common carp, it also has a good head of tench. Rudd and bream with barbel starting to grow well. If you are lucky you might catch yourself an eel, and if you really lucky you won’t. There is easy access between coarse lakes. 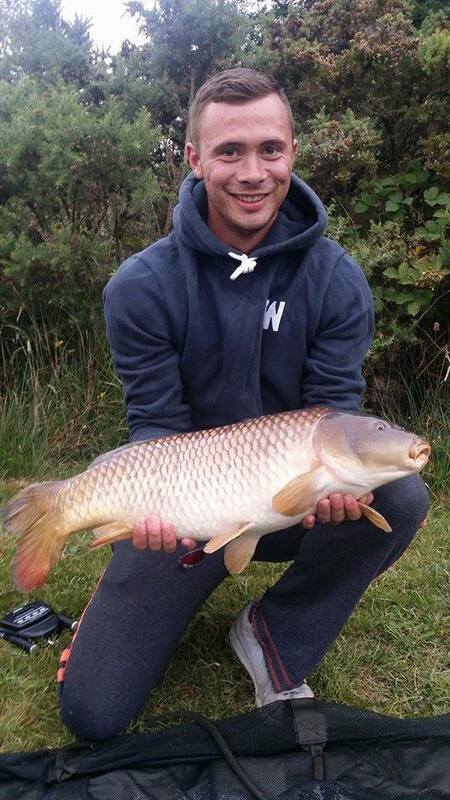 The upper course lake has a depth ranging between 4ft to 8ft. 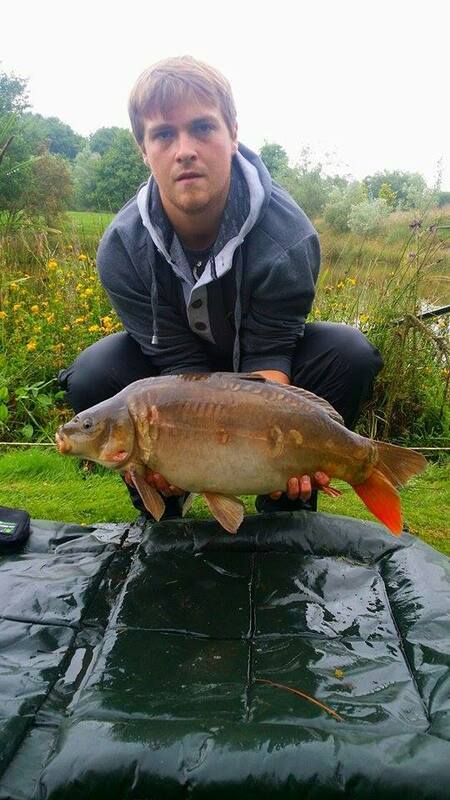 This is a more mature lake with every fish naturally bred in there. 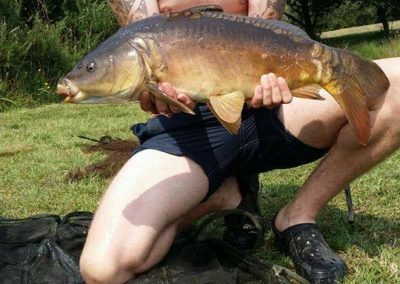 There is a full range of carp including spectacular hybridised golden orfe/carp, with all the beauty of golden orfe and the size of carp. 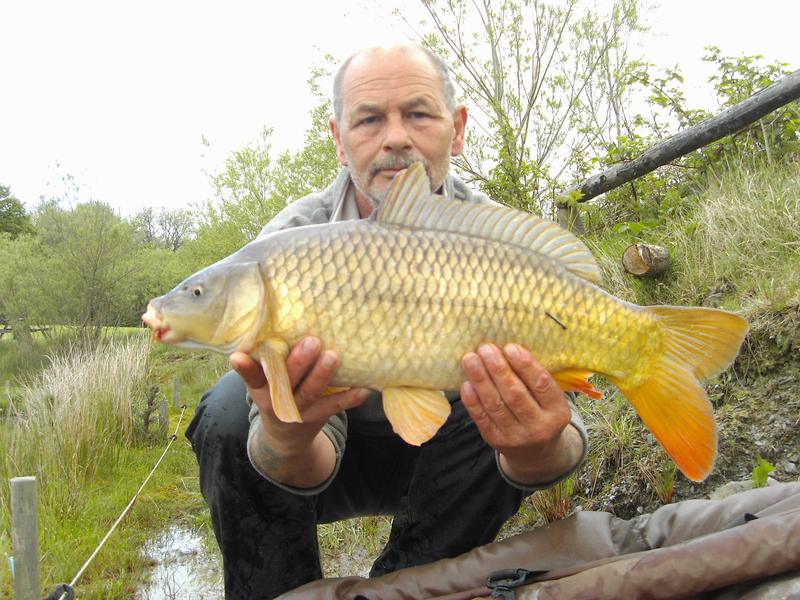 The lake also has rudd, bream, tench, perch etc. 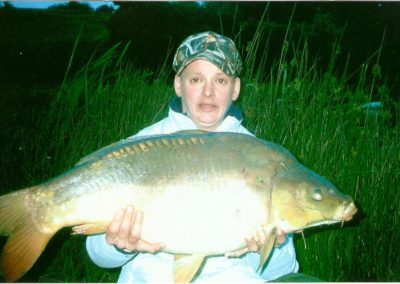 The lake is surrounded on three sides by bushes and trees, making it an ideal sheltered place to fish. The lake also has a small island in it. 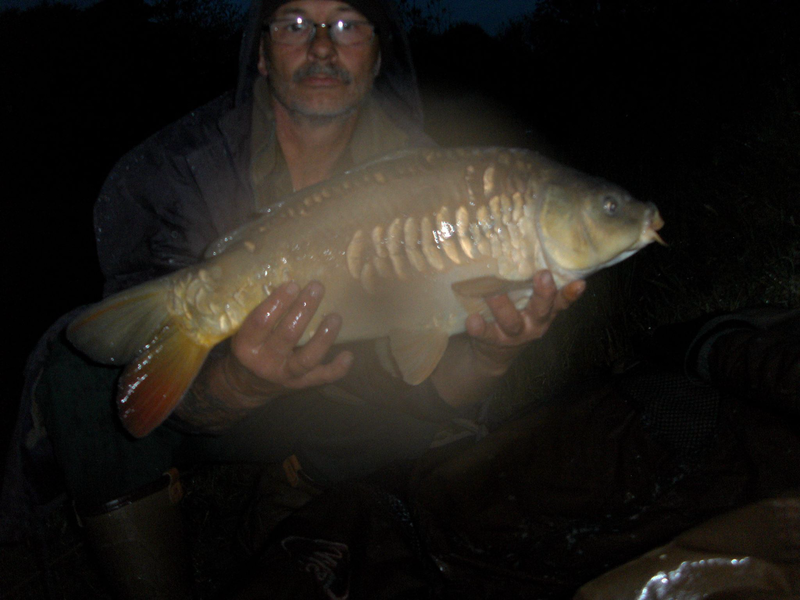 NB: Night fishing is available by prior arrangement. 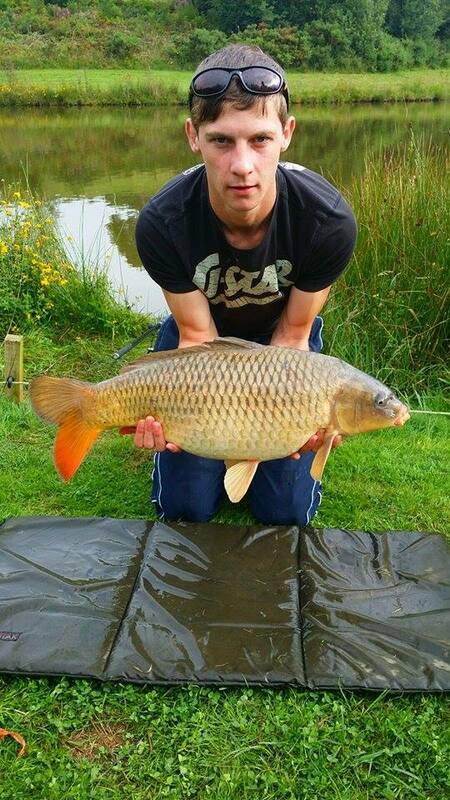 The helpful family at Fron Farm Fishery strive to meet your every need when you visit us. Our flexible personal approach is unrivalled by our competitors evident in the fact that our visitors return time and time again to use our facilities. 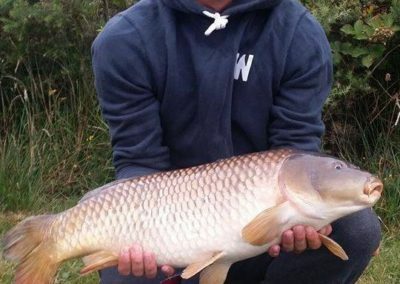 We have a large car park, disabled access so all visitors can enjoy the fishery. 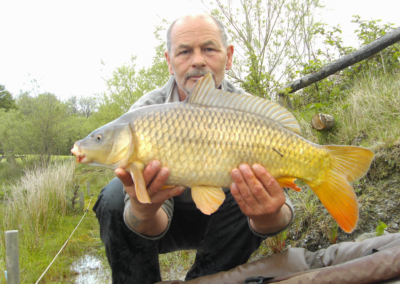 If you don’t fancy fishing there are plenty of things to do around the local area. Aberystwyth has a lovely Victorian promenade with a cliff railway. Art Centre, Museum, The National Library of Wales, University and a host of unique local shops, bars and restaurants. In the area we also have the Rheidol Railway with spectacular views, take the train to Devils Bridge Waterfall. Aberearon offers lovely painted houses around the marina and charming shops. Tregaron is a traditional market village with a market square and craft shops, it also has its own Red Kite Centre. New Quay offers sandy beaches with all the usual seaside offerings, with boat trips to see the local dolphins.